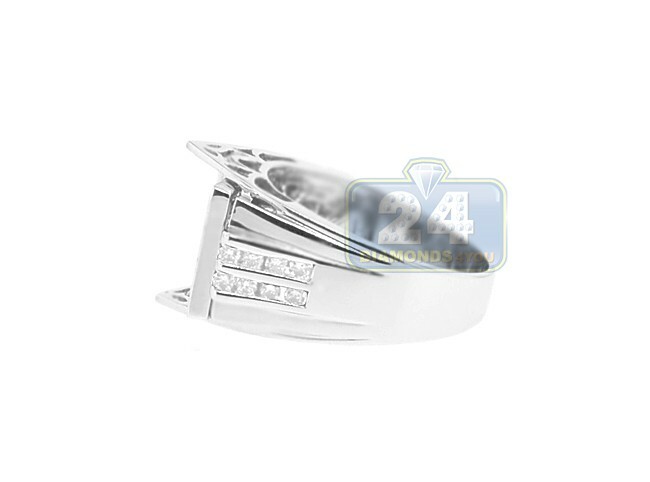 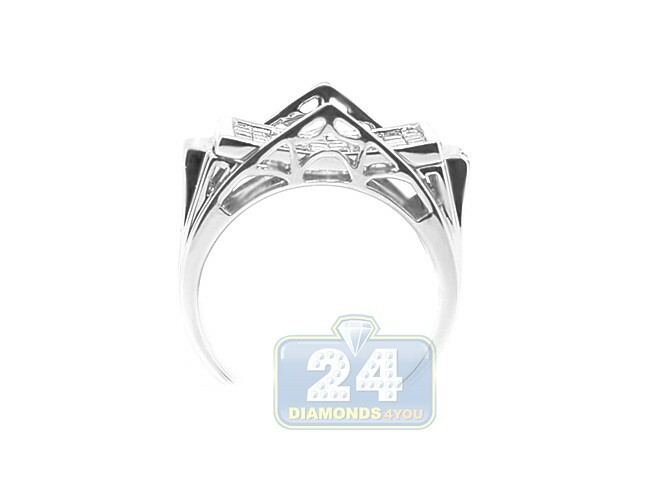 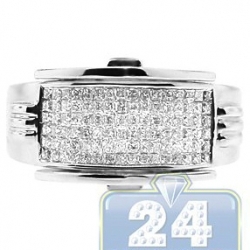 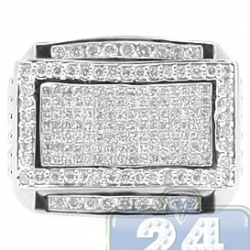 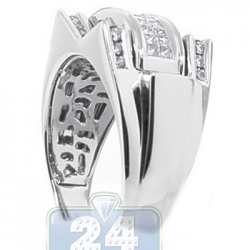 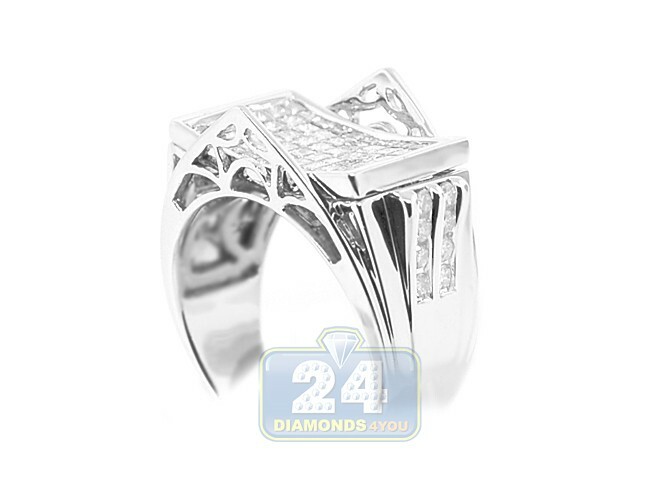 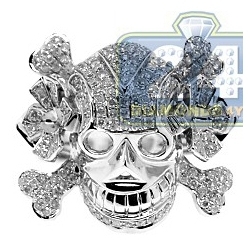 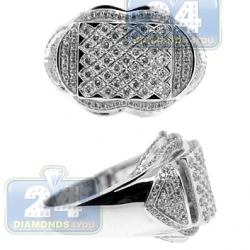 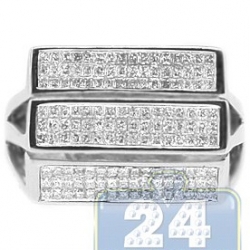 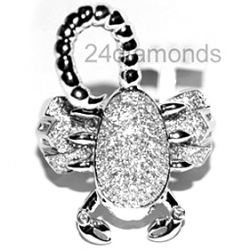 This ring is skillfully designed to suit his updated lifestyle and created in cool 14k white gold with shiny polish. 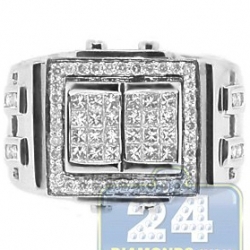 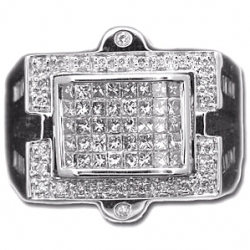 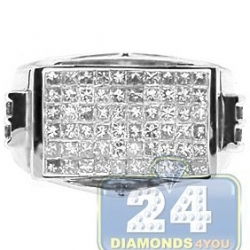 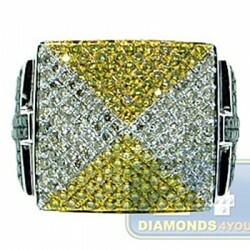 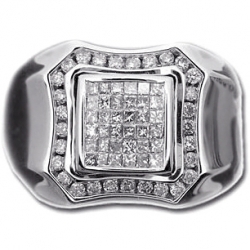 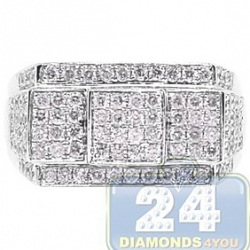 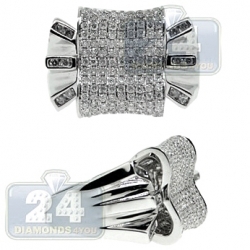 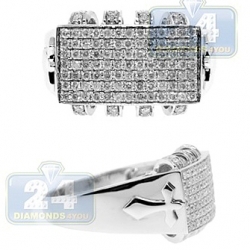 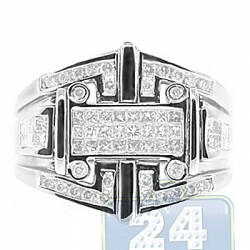 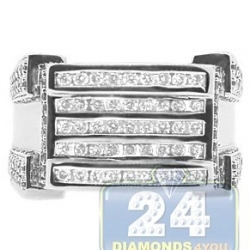 It dazzles with genuine princess cut diamonds totaling 1.62 carat and set in a rectangular shaped center piece. 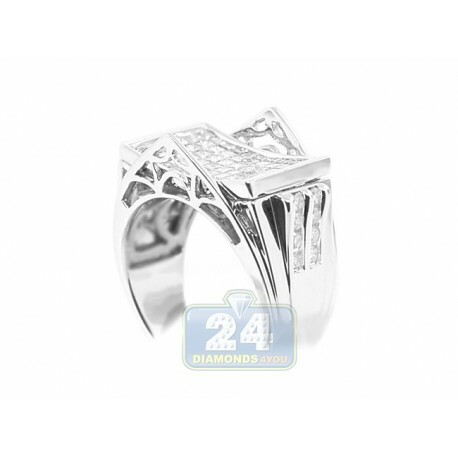 Sleek 14k white gold setting is professionally accented with sparkling round cut diamonds (0.38 ct) on the sides as well and makes all brilliants weighting 2 carat. 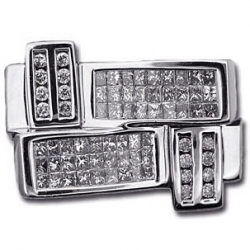 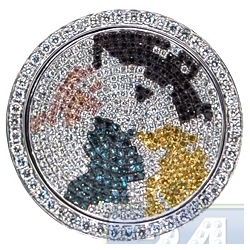 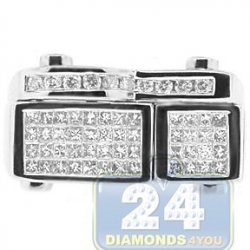 Our jewelry piece is a perfect addition to men's daily style!